Will Himalayan Help Royal Enfield Grow More in 2016? In an otherwise slow market for the Indian two-wheeler industry, Royal Enfield grew like no one else. Almost on a regular basis, the Chennai based two-wheeler manufacturer reported over 40% increase in its YOY monthly sales in 2015. So when Royal Enfield reported a 41% increase in its domestic sales in December 2015, despite witnessing a decline of 9% in its exports, it didn't come as a surprise to most of us. In calendar year 2015, Royal Enfield sold 4,52,812 units of its motorcycles globally which is 50%, or 1,50,221 units, more than what it sold last year. Registering this kind of sales figures despite being hit by severe rains and floods that resulted in six days of production facilities being shut at Thiruvottiyur and Oragadam, is a remarkable feat. This brings us to the million dollar question - will the upcoming Himalayan add to the already soaring brand? If the speculations are to be trusted, the Himalayan is going to be a feather in Royal Enfield's hat. The all-new four stroke, single-cylinder 410cc, air-cooled motorcycle, which is expected to make around 28bhp of power and 32Nm of torque. The Royal Enfield Himalayan will also be the first Royal Enfield motorcycle ever to have overhead cams and a counterbalancer to help it rev freely around 7,000-8,000rpm. Another addition is of a monoshock with enough travel at the rear end to take on any terrain. To make the motorcycle more touring-friendly, the Himalayan's instrument cluster will also have an altimeter and a thermometer. Royal Enfield is also expected to offer panniers and other accessories as options to make those long journeys hassle-free. 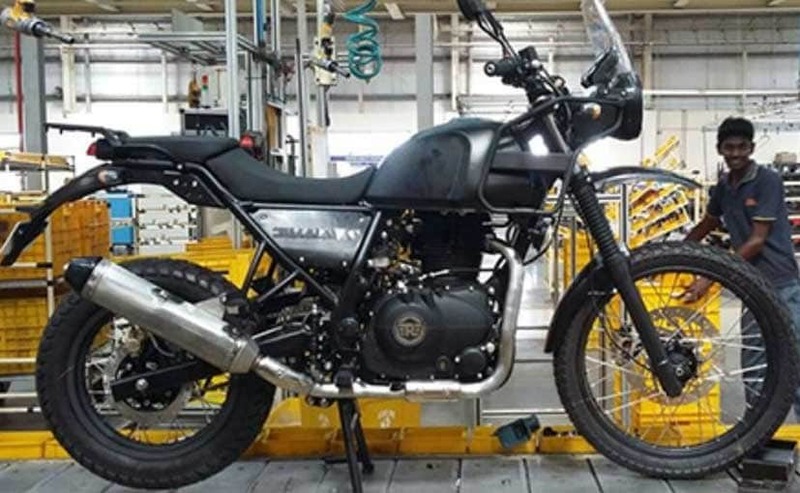 With such features, and rugged and adventurous looks, the Royal Enfield Himalayan will create a segment which doesn't really exist in the Indian automotive industry as such. If priced well, the Himalayan will take the Royal Enfield brand to greater heights. Know more about the Royal Enfield Himalayan here. Expect the Royal Enfield Himalayan to be launched somewhere around February this year below the price tag of ₹ 2 lakh. Stay tuned to CarandBike.com to stay updated on the soon-to-be-launched Himalayan.